Touch application of heavy-duty pressure sensitive adhesive. Dispenser not included. 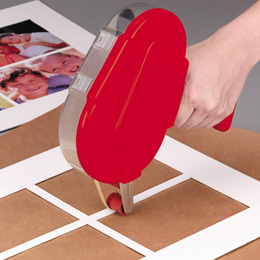 Adhesive transfer tape works best on smooth surfaces and applies a precise strip of adhesive. The waste liner rewinds into the dispenser.